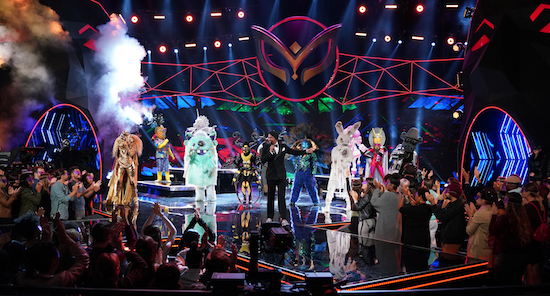 THE MASKED SINGER: Host Nick Cannon (C) with all of the contestants in the special two-hour “Road to the Finals / Season Finale: The Final Mask is Lifted” season finale episode of THE MASKED SINGER airing Wednesday, Feb. 27 (8:00-10:00 PM ET/PT) on FOX. © 2019 FOX Broadcasting. CR: Michael Becker / FOX. THE MASKED SINGER concludes its wild first season with a two-hour finale—that will both crown a champion and unmask the final three singers—and it’s been one heck of a debut year for the show. Sure, the gimmick of the costumes has been fun (and the clue-gathering has been ridiculously fun), but there have also been some truly impressive performances.